Do not be afraid. Do not be afraid God assured Abram, the angel assured Mary, do not be afraid, little flock, for it is your father’s good pleasure to give you the kingdom. 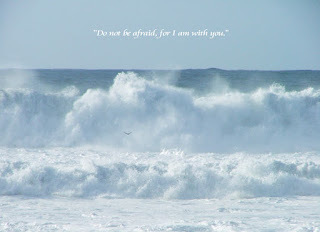 Do not be afraid we must be assured as well, do not be afraid. Fear is a powerful motivator, for good or for ill. It seems that the world in which our sacred stories originated, and the world in which you and I live are not so different. Our ancestors were afraid of the same things we are afraid of, not having enough, not having enough food, water, clothing, housing. They were afraid of persecution, afraid of being teased and bullied for being different. They were afraid of death, afraid of the unknown, afraid of the dark, afraid of mortality and absence, afraid of natural disaster and human made disaster. They were afraid of those who seemed a threat, those whose ways are so different from our ways, those who believed in a God who seemed so foreign. Today we live in a culture of fear. We are afraid of not having enough, and we are afraid of those we think may take away what we do have. We are afraid of reading the newspaper because we don’t want to read of the sadness, violence, and tragedy all around us. We don't want to read that our stocks are doing poorly and our retirement is gone. We are afraid of getting sick because we don’t have enough health insurance to cover the hospitalization. We are afraid of getting old because we are unsure of what our bodies will become and what they will do, and the value of our lives until we die. We are afraid of people who think and do and believe differently from ourselves. We are afraid of dying and so we forget to live. We are afraid of losing, losing our money, losing our lives, losing our house, we are so afraid of losing we hold on tight, we become greedy, we worship idols. We heard all about greed and idols in the parable we heard last week of the Rich Fool. Fear leaves us insecure and paranoid. Fear breeds intolerance and suspicion. Fear causes our relationships to be conditional and abusive. No fear. Be not afraid. These are words of comfort, and they are words of action. How do we follow Jesus in a culture of fear? What is the fitting response, the ethical response to fear? Now, fearlessness is not a good thing. But that is why God chooses to be known to us, so that we may stop being afraid of the wrong things. Putting fear in its place is being freed from fear to being empowered by love to love. The quieting of fear is required in order to hear and do what God asks of us, and yet in our culture, fear seems to have the loudest voice. Quieting our fear is not easy, but these overwhelming fears need to be overwhelmed by bigger and better things, by a sense of adventure and fullness of life that comes from locating our fears and vulnerabilities within the larger story that is ultimately hopeful and not tragic. It is the story of God’s abundant and amazing love that resides with us in the life and love, the pain and suffering, the death and resurrection of Jesus Christ. And only by facing death, our most primal fear, can we move ahead to embrace life with the great nevertheless that is God’s gracious word to a broken world. At our baptism, we were united with Christ and marked as Christ’s own forever. Through baptism we have already faced death, and seen it overcome. Every time we gather together here to celebrate Christ with us we acknowledge the work that God does in Jesus on the cross. Be not afraid, you are not alone. Following Jesus in this culture of fear is to offer hospitality, and then we are no longer strangers. Following Jesus in this culture of fear is to be compassionate instead of safe. Following Jesus is to transform this culture of fear into a culture of hope. And this is what it looks like to follow Jesus, it is our work as baptized people. Bringing the kingdom near, for the gospel writer Luke, is all about the amazing grace of God. We are followers of Jesus who express openhanded mercy to others, especially those in need. Love your enemies, do good to those who hate you, extend hospitality to those who cannot reciprocate, give without expectation of return. Such practices are possible only for those whose dispositions and convictions and commitments have been reshaped by the transformative encounter with God’s amazing grace. Be not afraid, because the chief competitor for God’s focus stems from the wielding of power, in forms of life designed to keep the privileged segregated from those of low status, the least, the lost, and the left out. And we continue to hear, Do not be afraid, little flock, for it is your Father’s good pleasure to give you the kingdom. How do we live as kingdom people and live without fear? Sell your possessions, and give alms. In other words, be generous, give to the poor. The call of discipleship is to live as if we mean it, not as if we are afraid of it. The call is to live as if God is our priority. Eugene Peterson’s translation in The Message is, Steep yourself in God-reality, God-initiative, God-provisions. You’ll find all your everyday human concerns will be met. Don’t be afraid of missing out. The call is to live our transformed lives in the world, and when we do that, we can change our world, we can transform our world, and the kingdom will be near. The call of discipleship is to no longer be afraid to be yourselves, to be the person God created you to be, to live your life as the beloved of God. When God is the priority, when God is our treasure, there our hearts will be also, and there will be no fear. There will be courage, we will be dressed for action and have our lamps lit. There is nothing we miss out on, instead, we are emboldened and encouraged to live our lives as agents for change, we are participants in bringing the kingdom near. I’m remembering a movie of a few years ago now, Evan Almighty, which if you haven’t seen yet you may want to netflix. Evan, who has just been elected to congress, prays for his family and his relationships. As a result, God tells Evan to build an ark. Near the end of the movie Evan figures out that God doesn’t necessarily give what it is we ask for, but gives us opportunities to engage in what we need. So when Evan prayed for better family relationships, God gave Evan an opportunity to engage in family relationships, by building the ark together. God gives us opportunities for discipleship, God gives us opportunities to minister with the least, the lost and the left out. God gives us opportunities to live boldly and courageously. God gives us opportunities to live as if we mean it, to live with no fear, and to witness to the nearness of God’s kingdom.